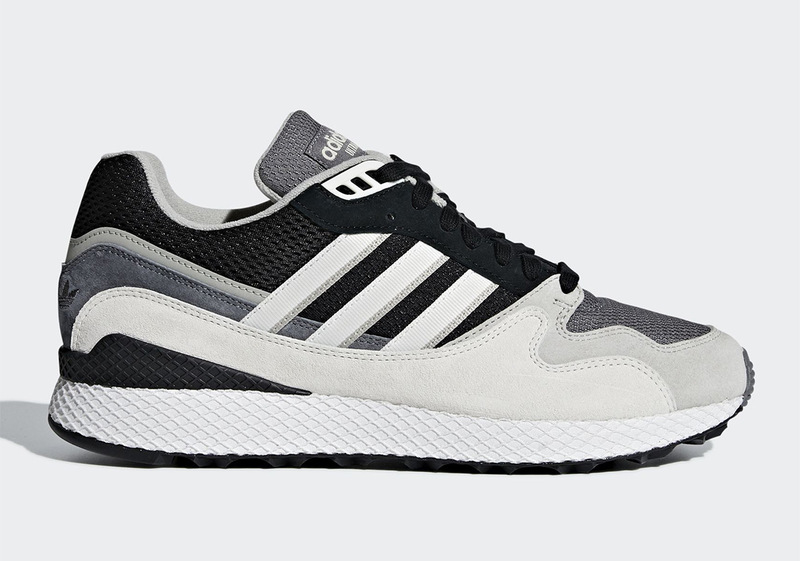 A ’90s running classic, the adidas Ultra Tech was reintroduced to the market earlier this summer in two bright retro colorways. 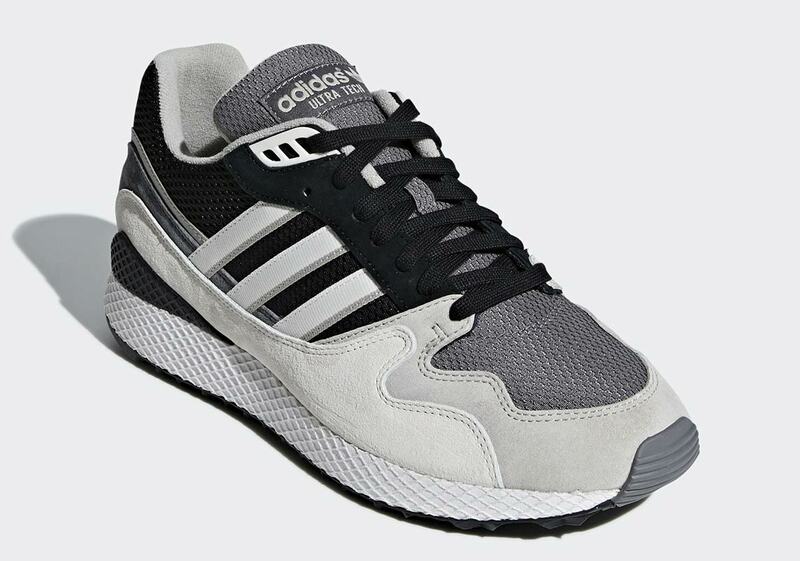 Now, the old-school runner is coming back again, but swapping out the bright and colorful details of the first two releases for a more toned-down “Orca” color combination. 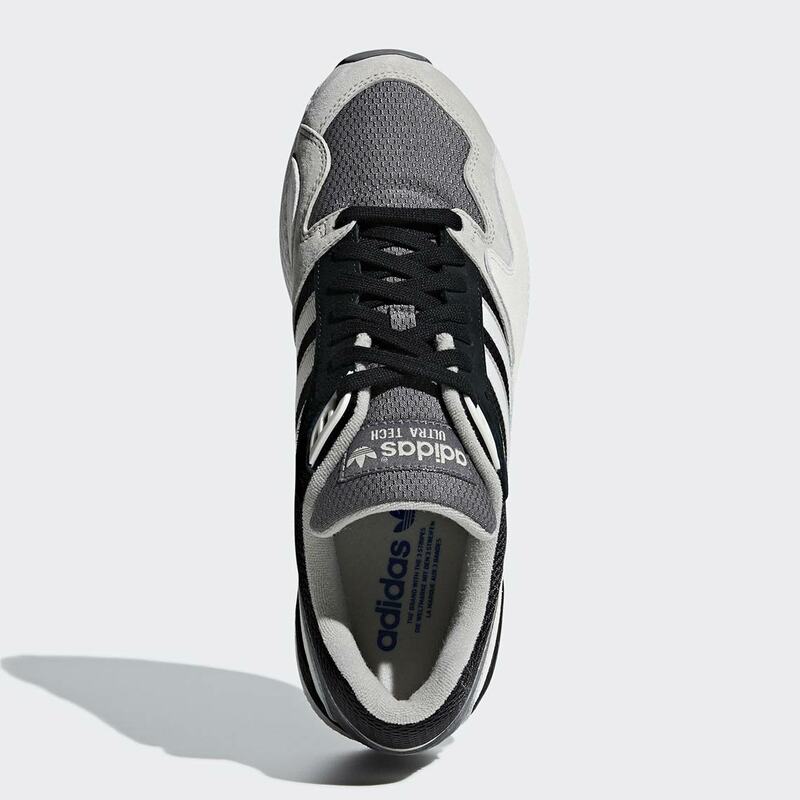 The upper uses a combination of black and grey mesh as a base—the former on the heel and midfoot, the latter on the tongue and toebox—while layered grey and white suede panels offer contrast. 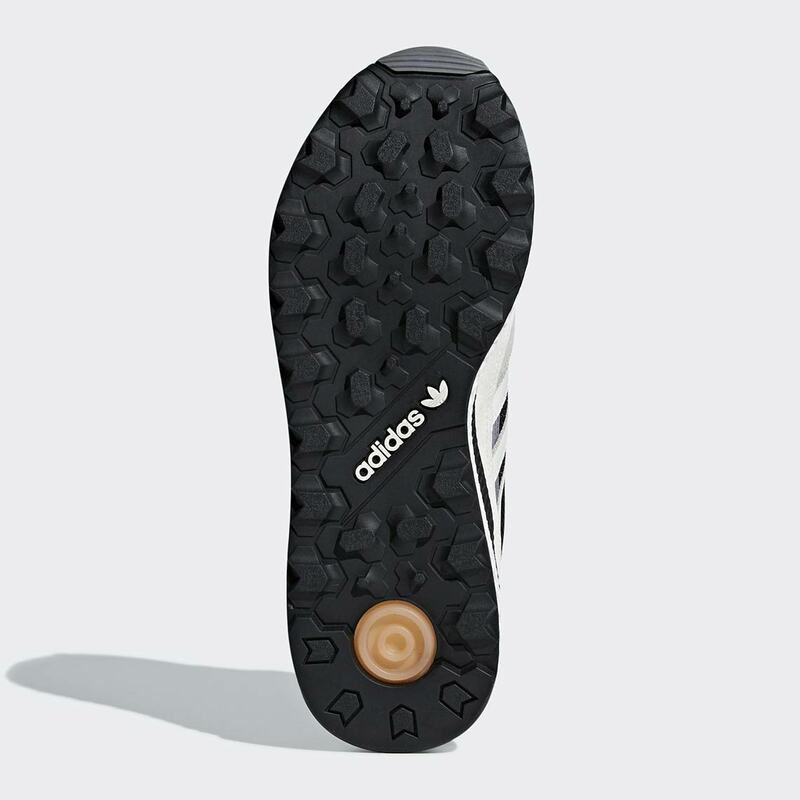 Retro trefoil branding appears on the heel and tongue, and the midfoot’s Three Stripes graphic is done up in a stark white. 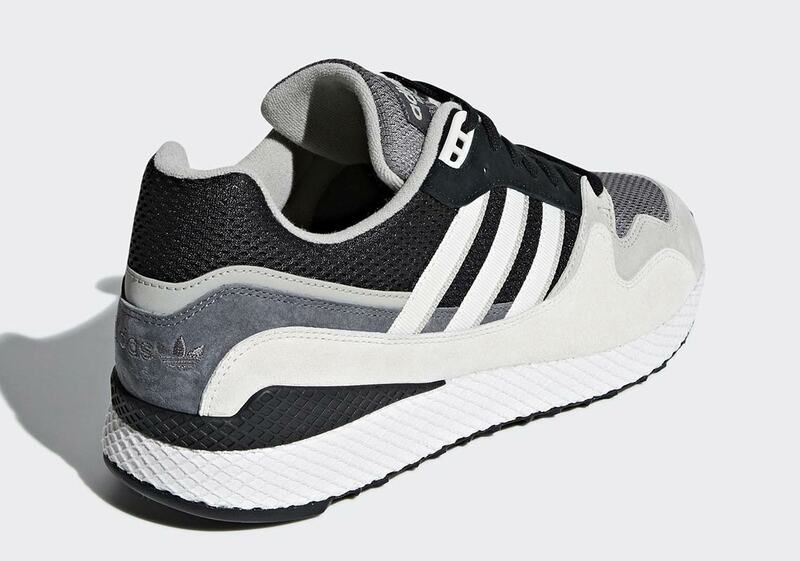 The black heel cage and white midsole both feature the same web-wrapped texture—similar to what you’d see on the adidas Deerupt—and a clean black outsole completes the look. 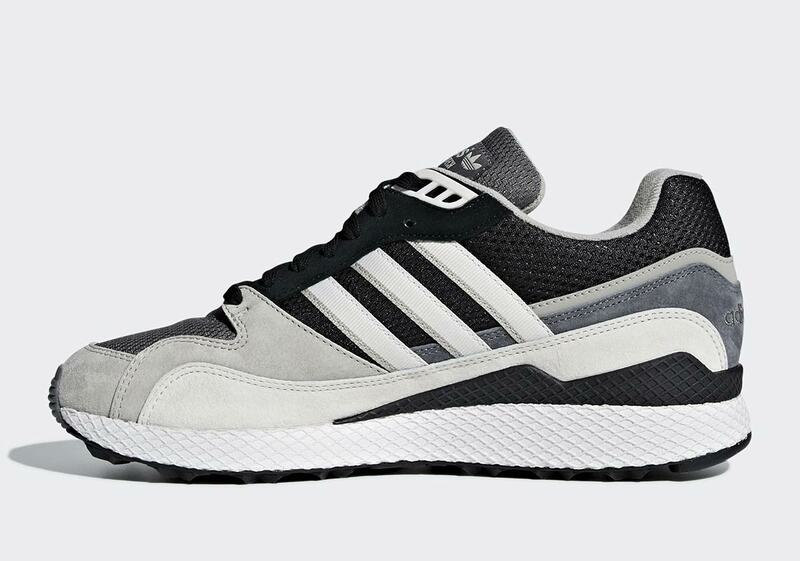 If you’re a fan of the retro running silhouette, these Ultra Techs will drop on adidas.com and at Three Stripes stockists September 1st for $120 USD.